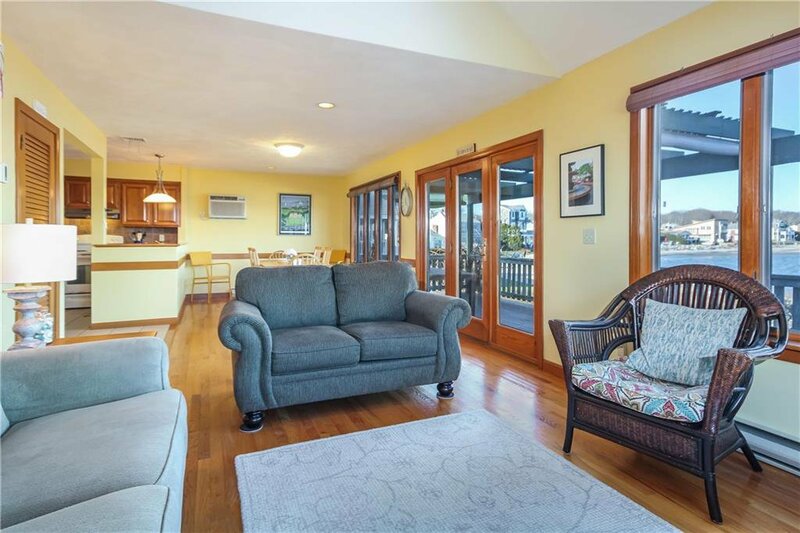 Breathtaking views from almost every room of this custom built 4-bed 2-bath oceanside home in excellent condition. 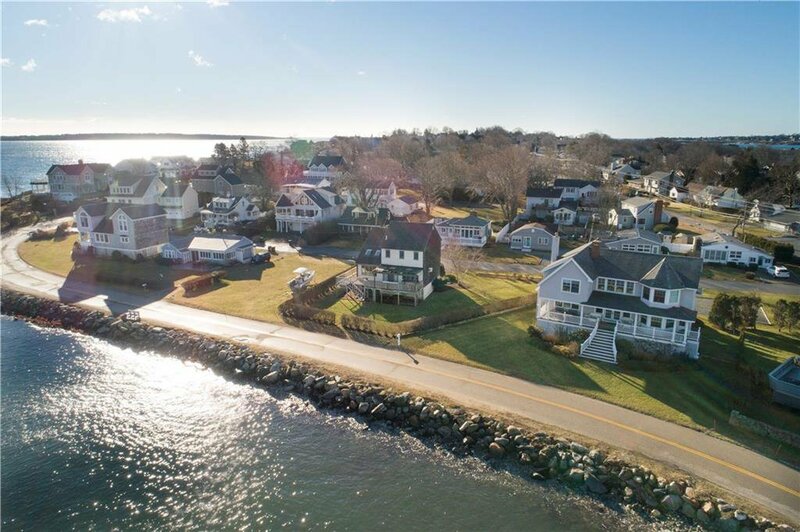 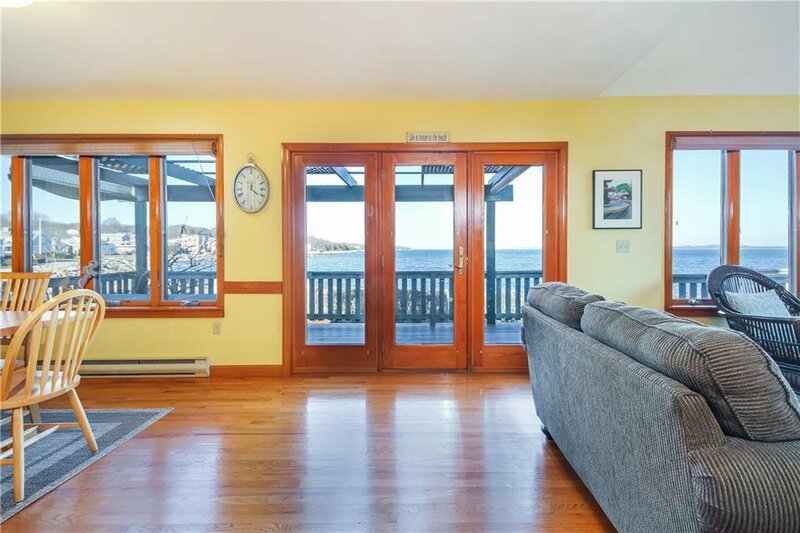 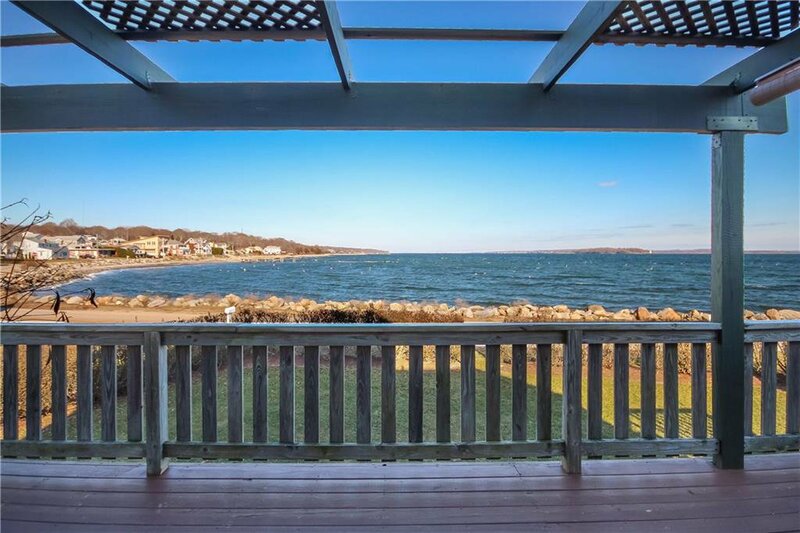 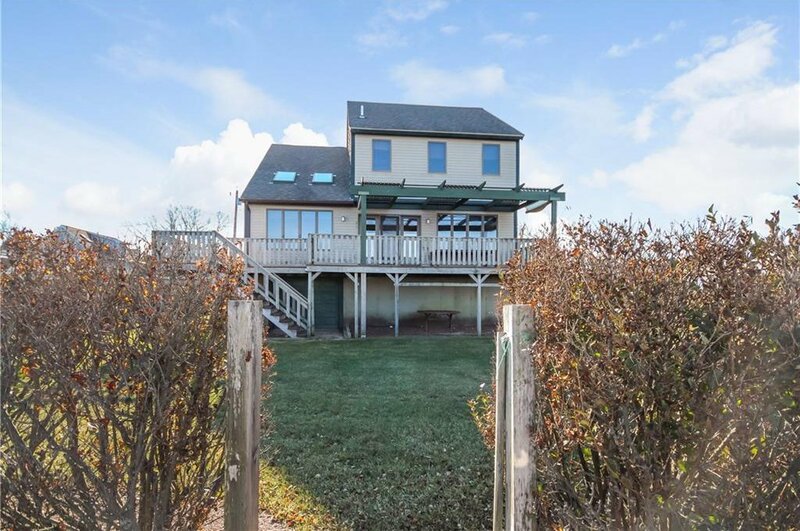 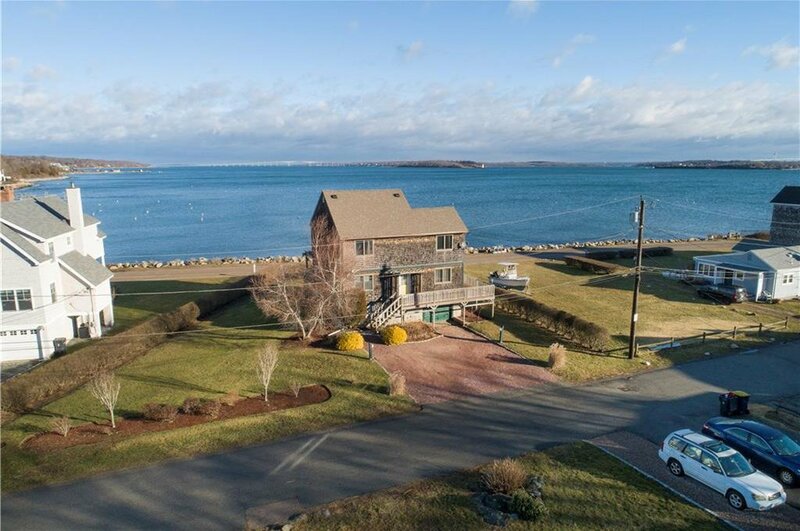 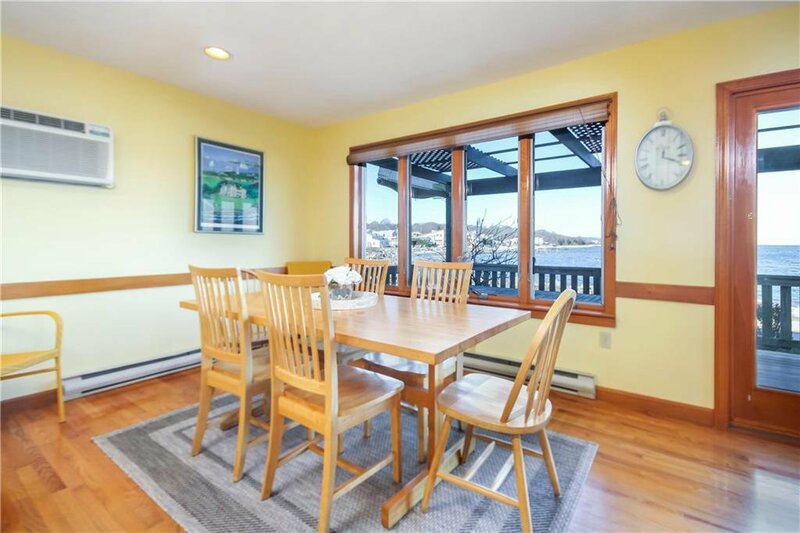 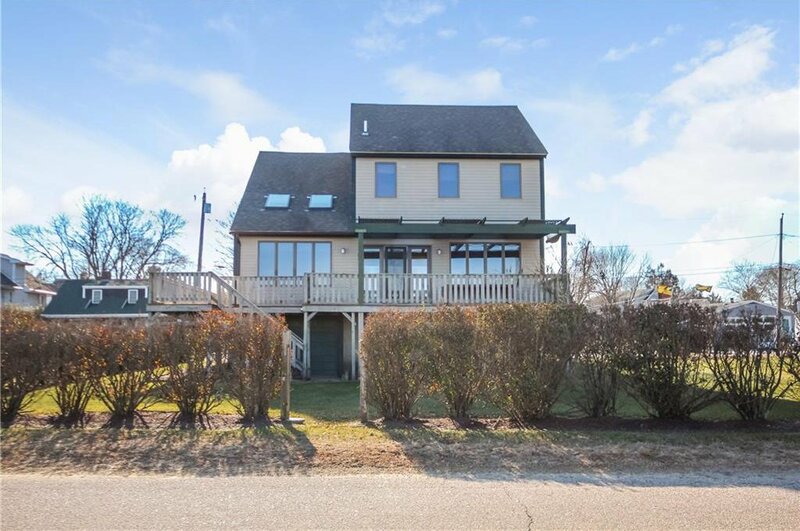 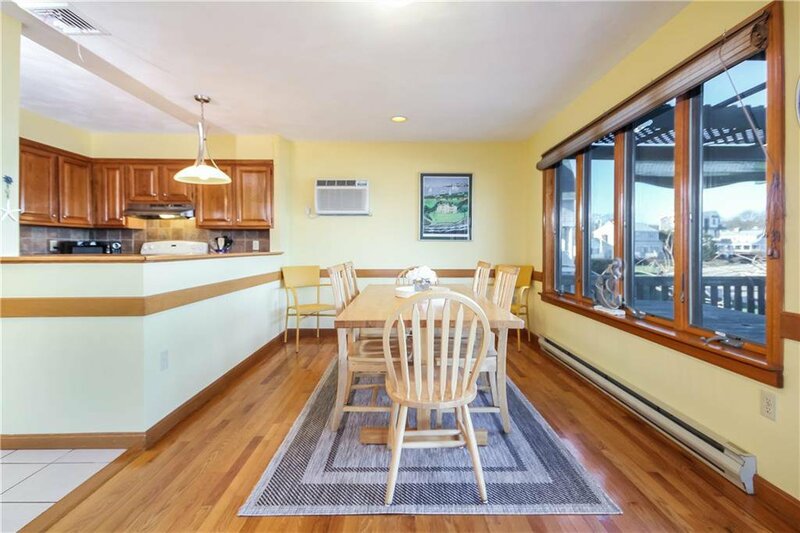 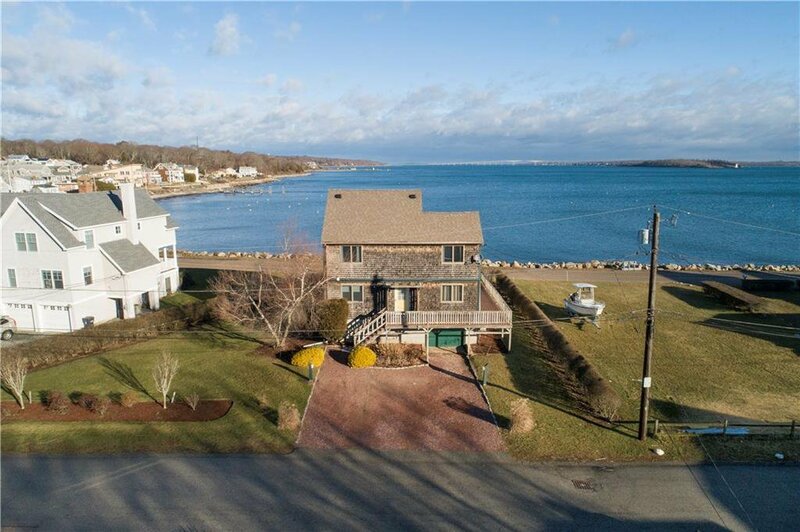 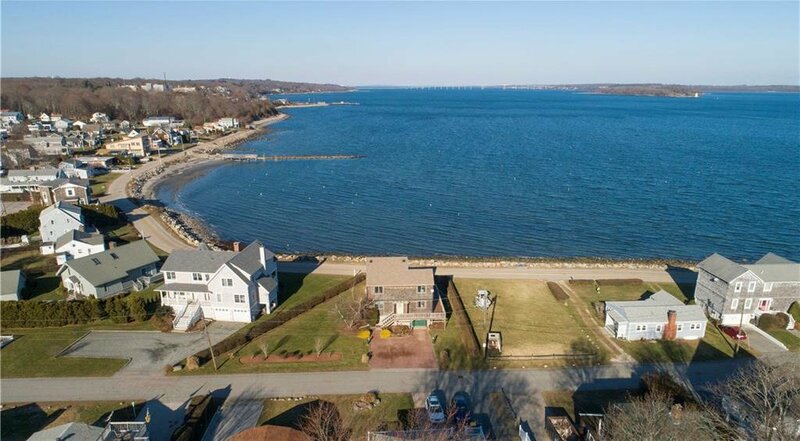 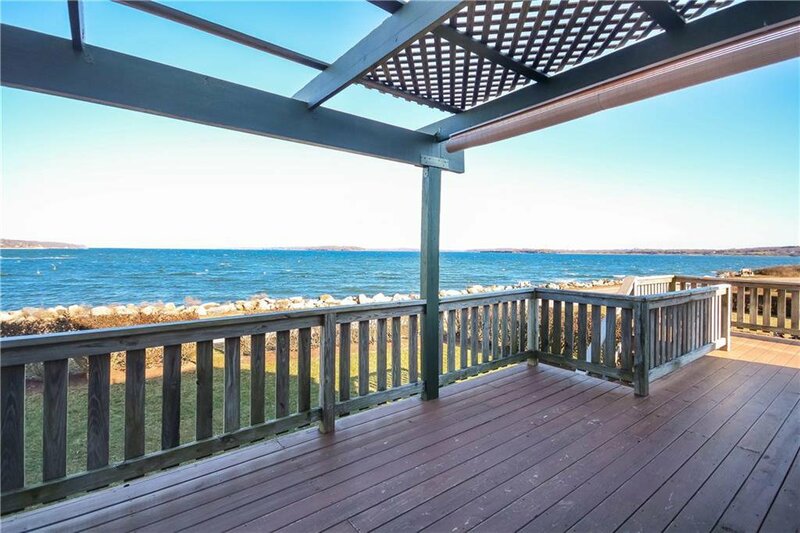 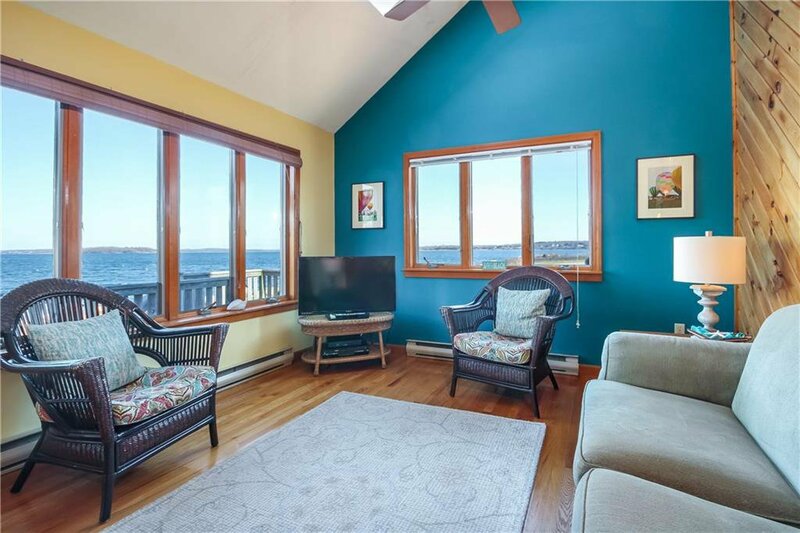 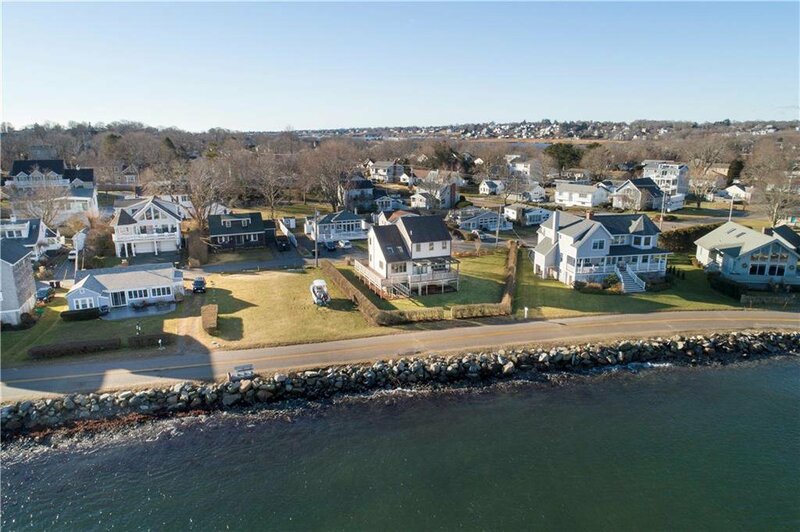 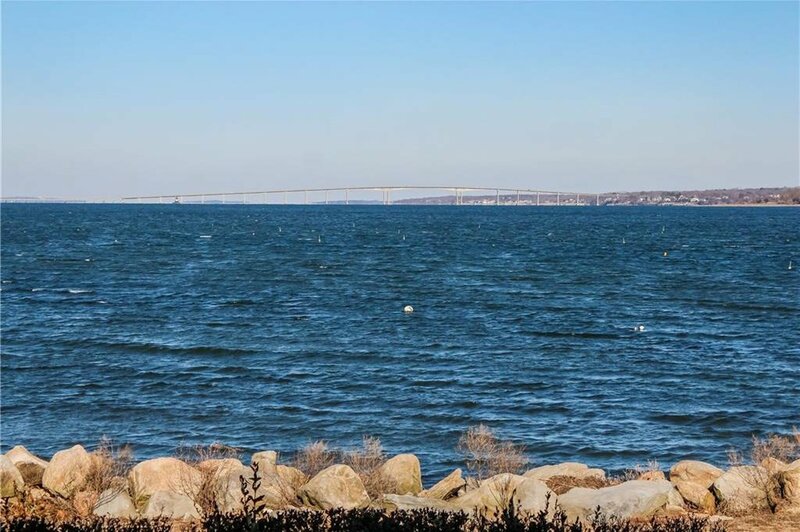 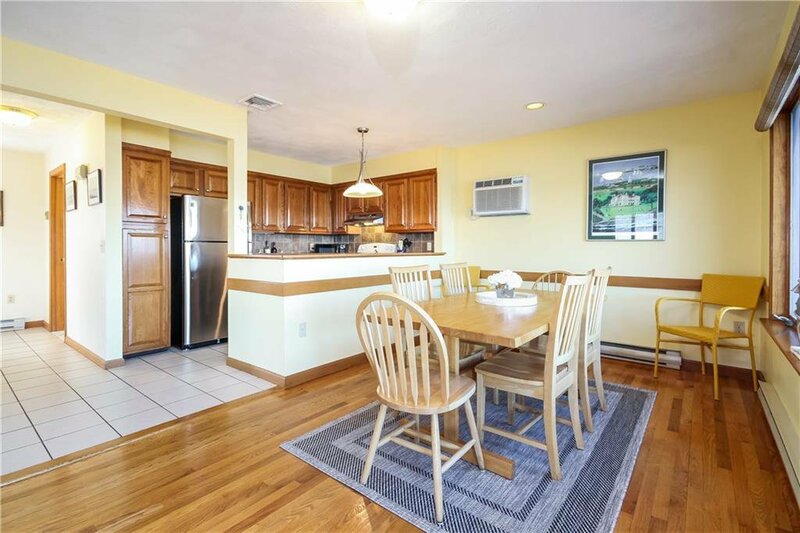 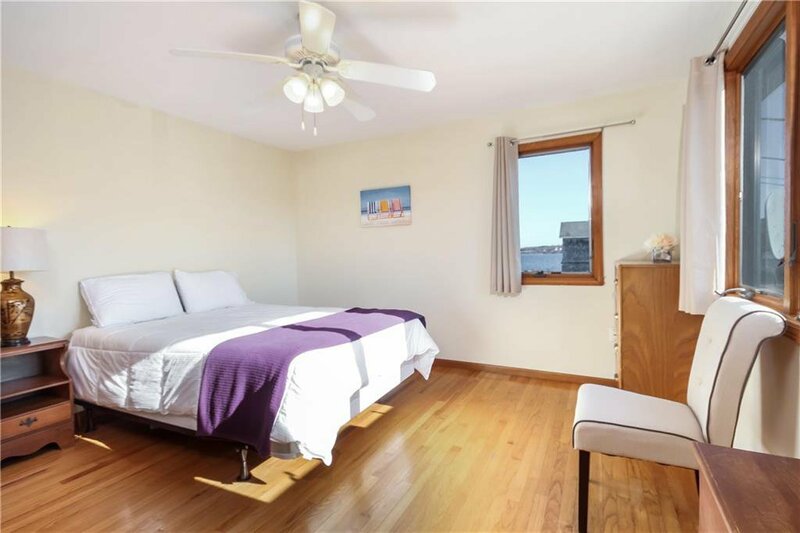 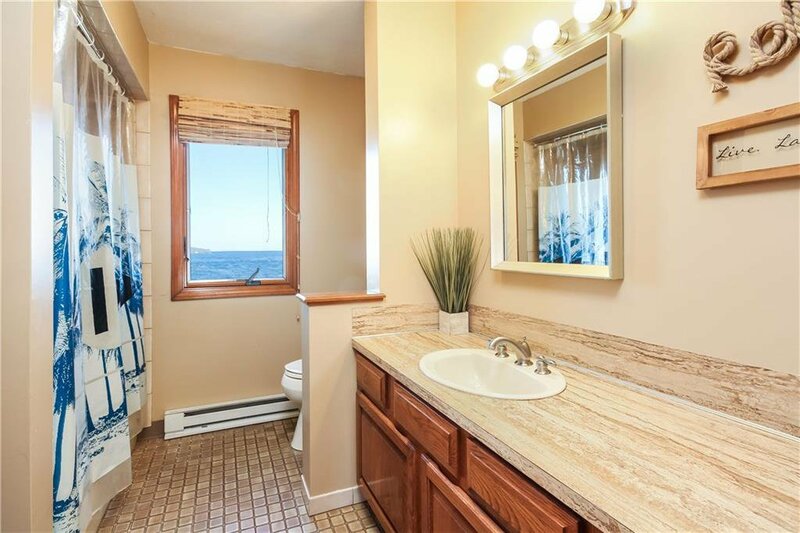 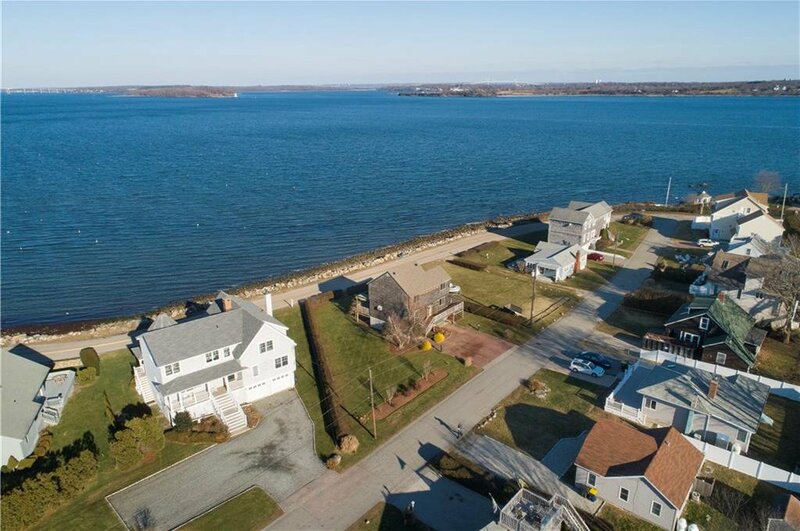 A wall of glass enhances the views throughout the main living area which also leads to a large wraparound deck ideal for entertaining or relaxing and absorbing the views of the Jamestown & Newport Bridges, the activity of Little Beach across the street, and the boating of Narragansett Bay. 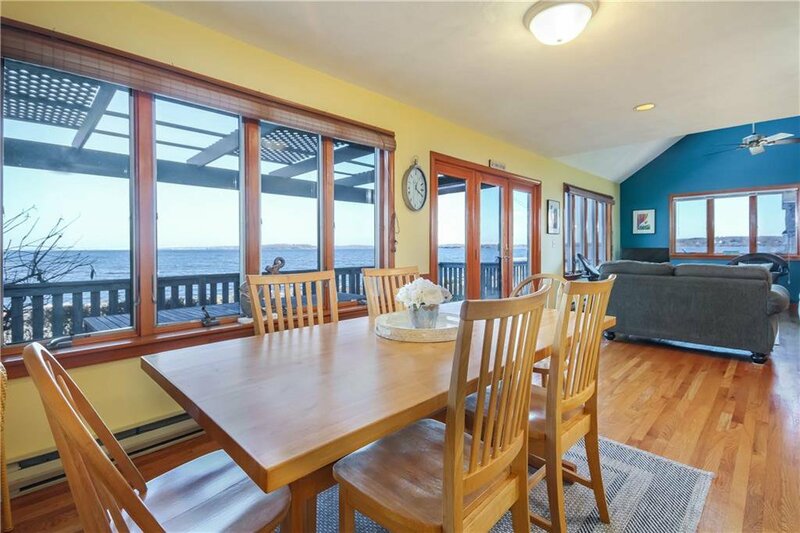 Start your day with a spectacular sunrise and end with the splendor of the rising moon. 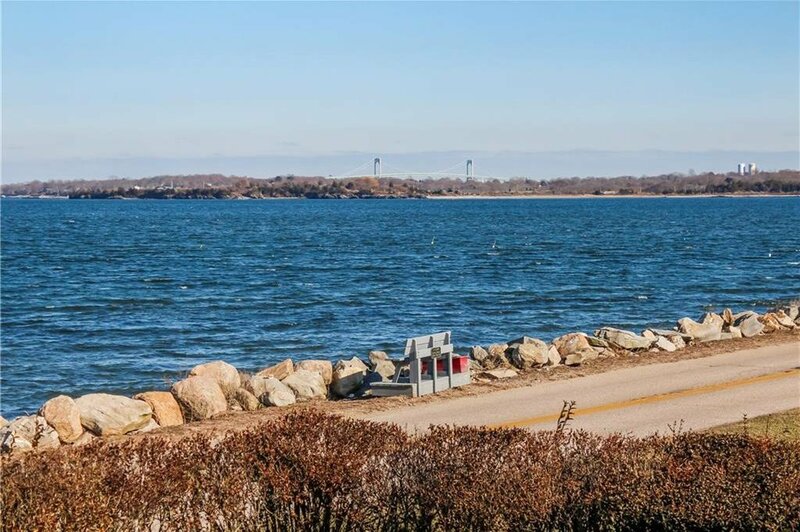 Just steps from the waterâ€¦a perfect launching spot for your jet ski, kayak, paddleboard or canoe. 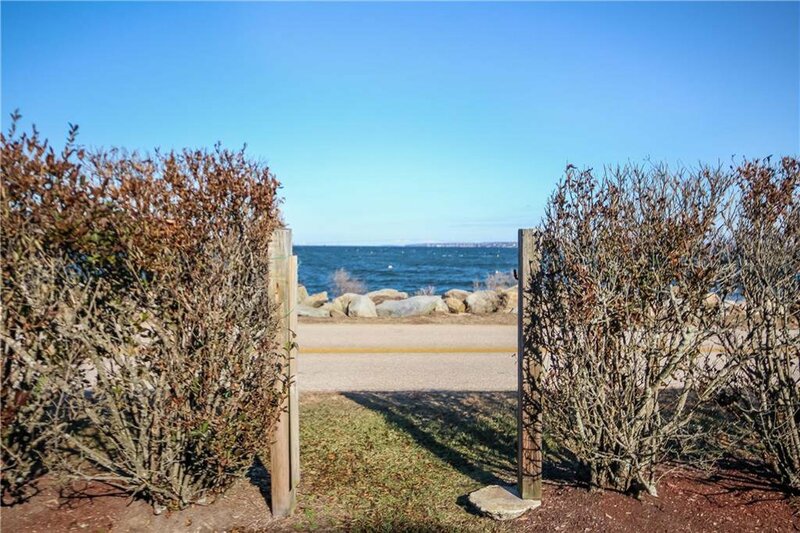 Take a stroll or shuttle to Kelly Beach. 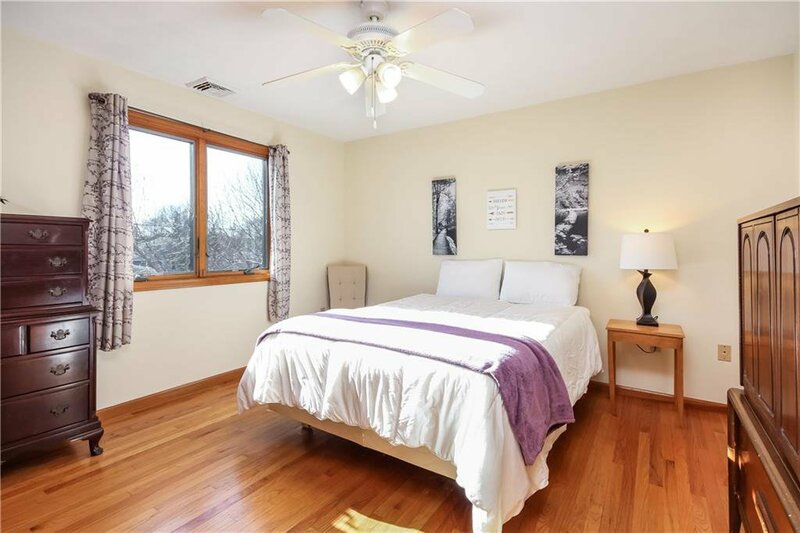 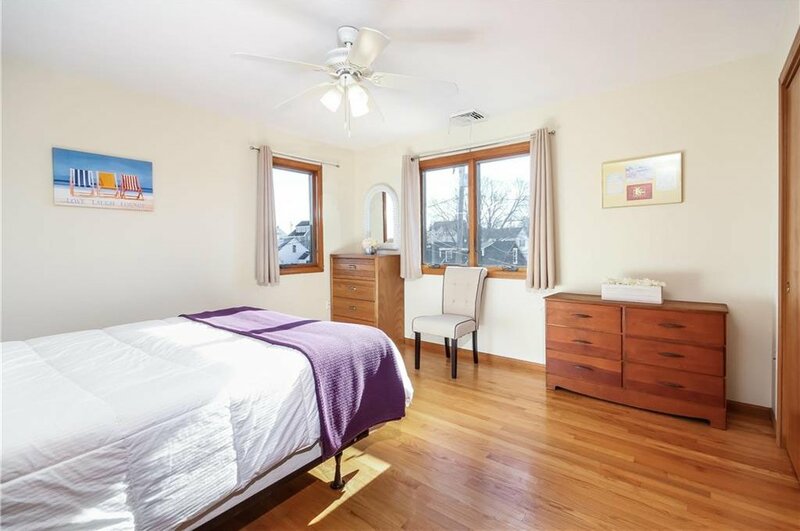 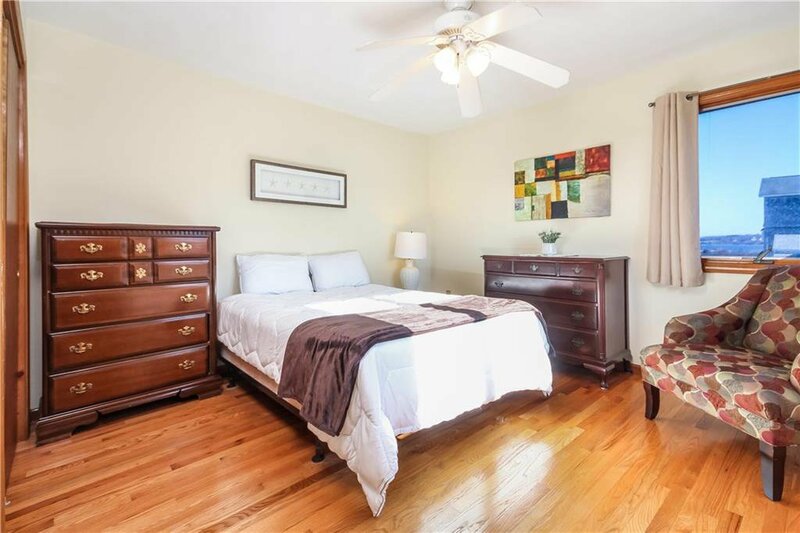 With a bright, open floor plan, hardwood floors throughout, spacious bedrooms (including one of the first floor) & 3 additional on the second level. 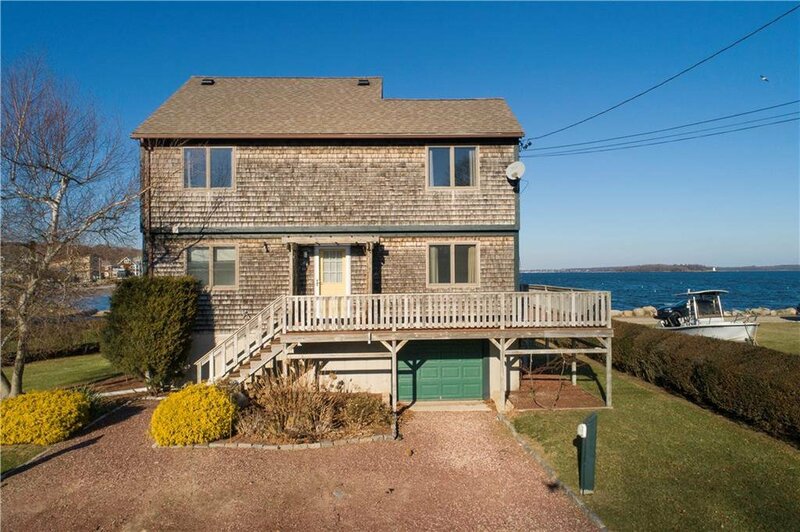 A first-floor laundry & full bathroom on each level makes living at the beach so easy. 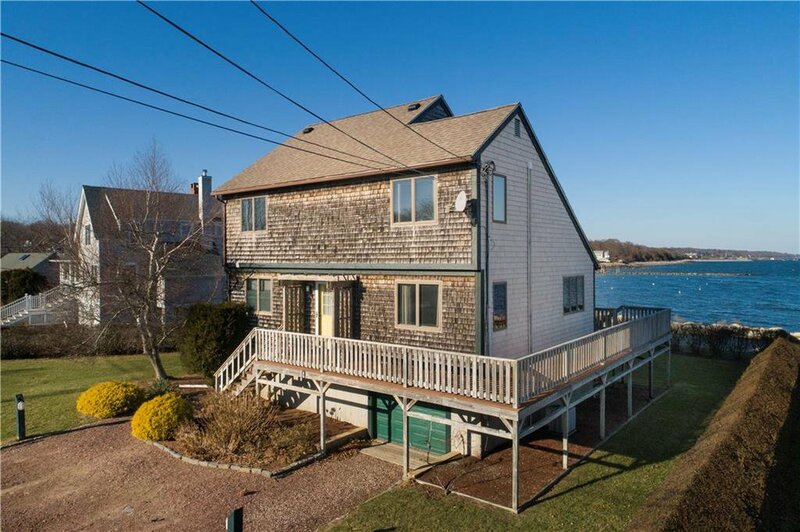 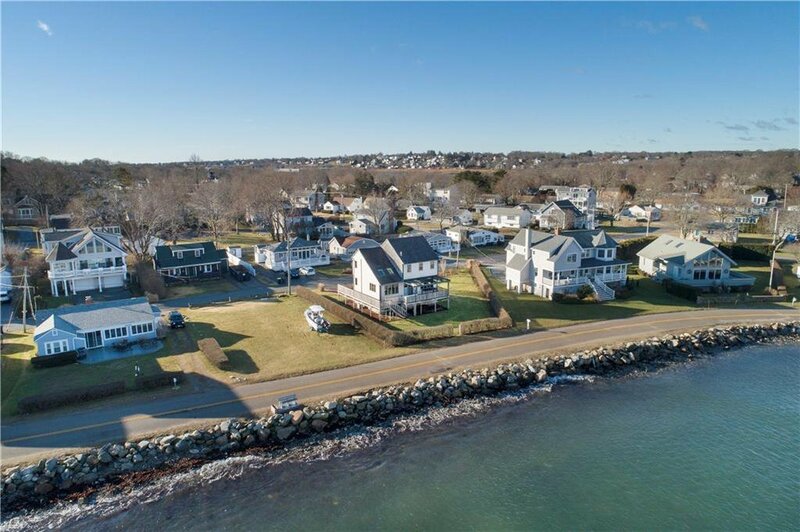 Plenty of storage in the attic & lower level, parking for several cars & a large yard that has frontage on the waterfront street of Colonel John Gardner Road. 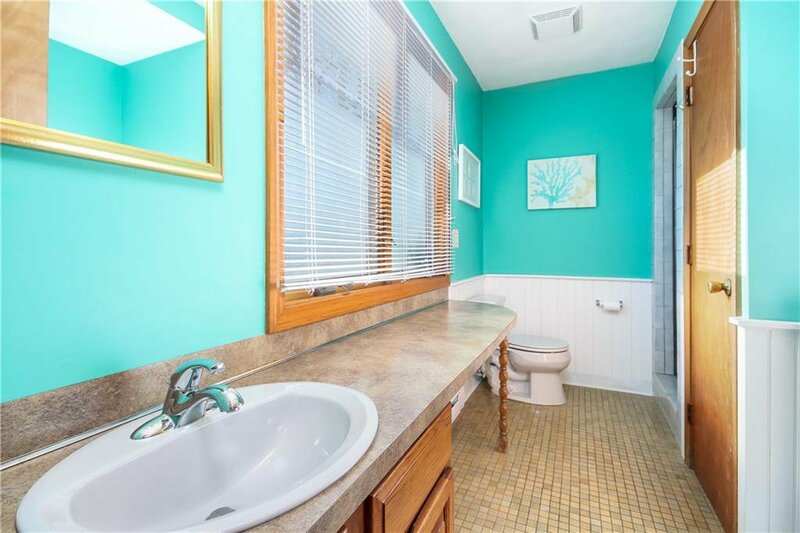 Potential to expand being on town sewer. 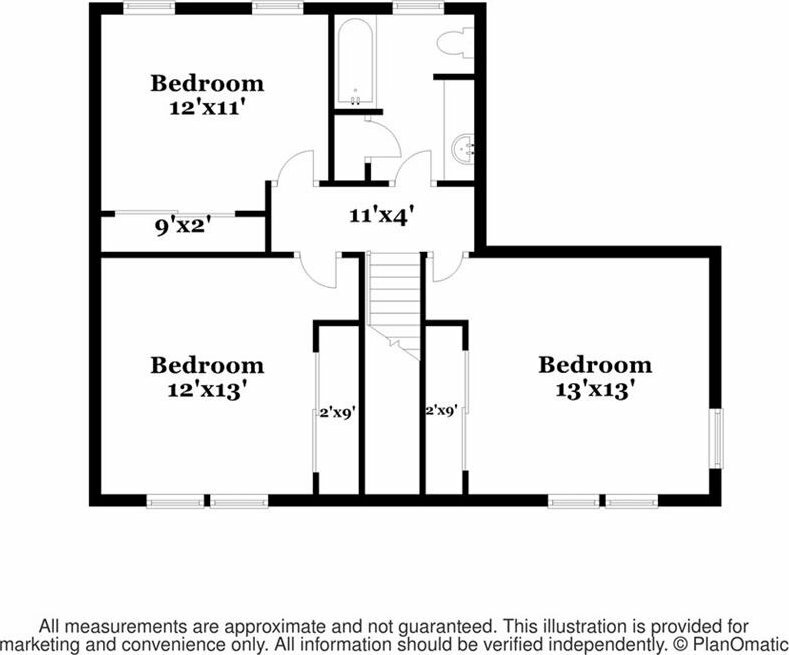 Can be sold turnkey with most furnishings. 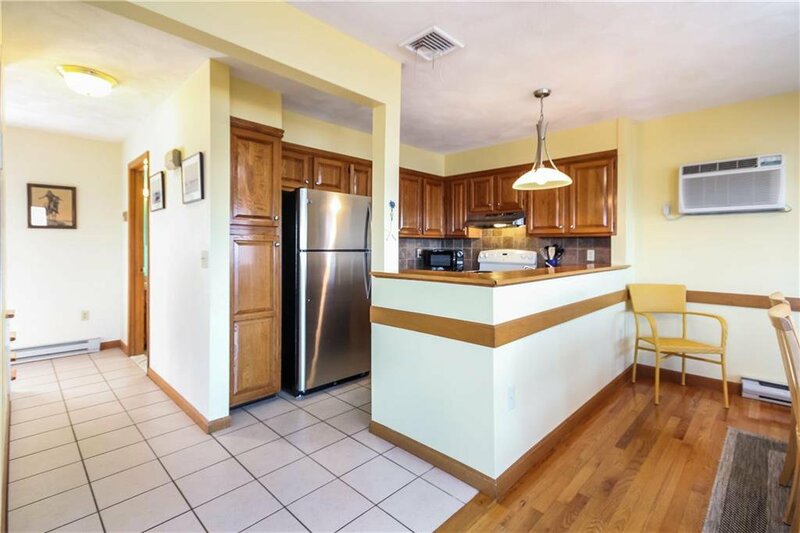 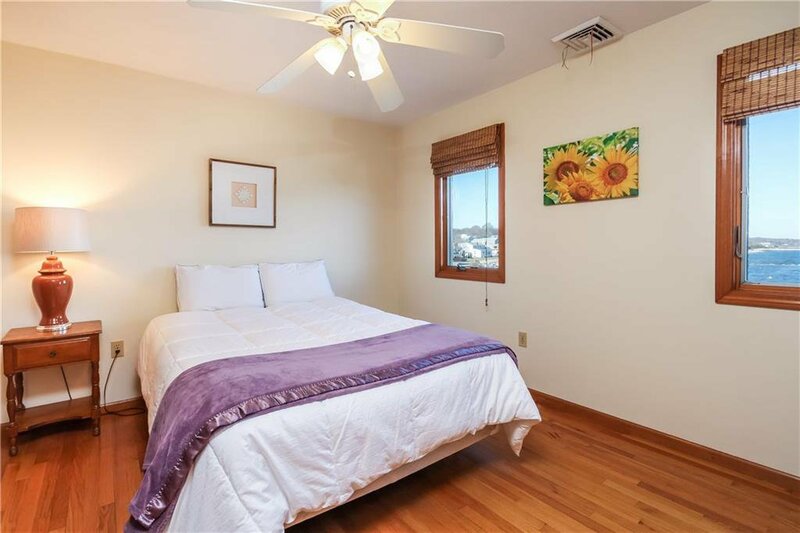 Ideal location convenient to Jamestown & Newport, URI, Amtrak, Wickford commuter train, Providence and airport. 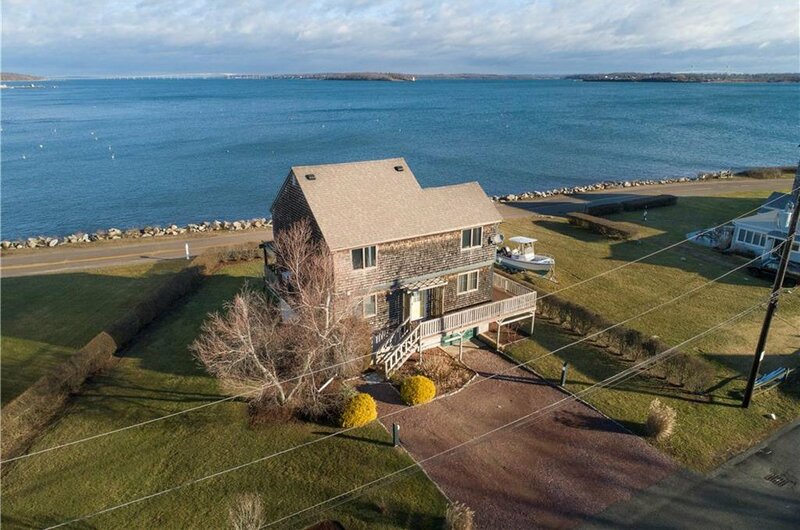 ESTATE SALE being sold as-is with known updates that include a newer roof, some siding, air conditioning, & hybrid hot water heater & heat pump. 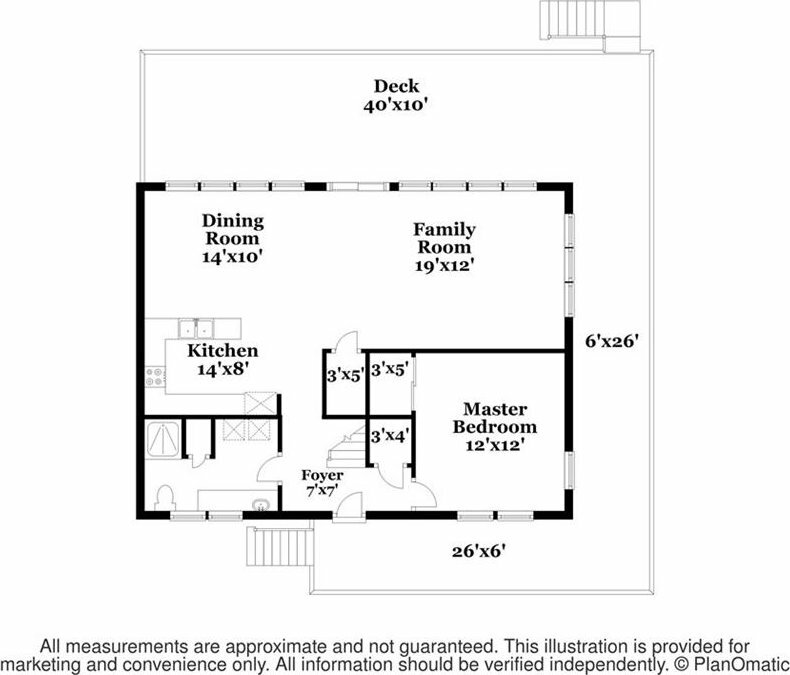 Flood insurance is extremely low. 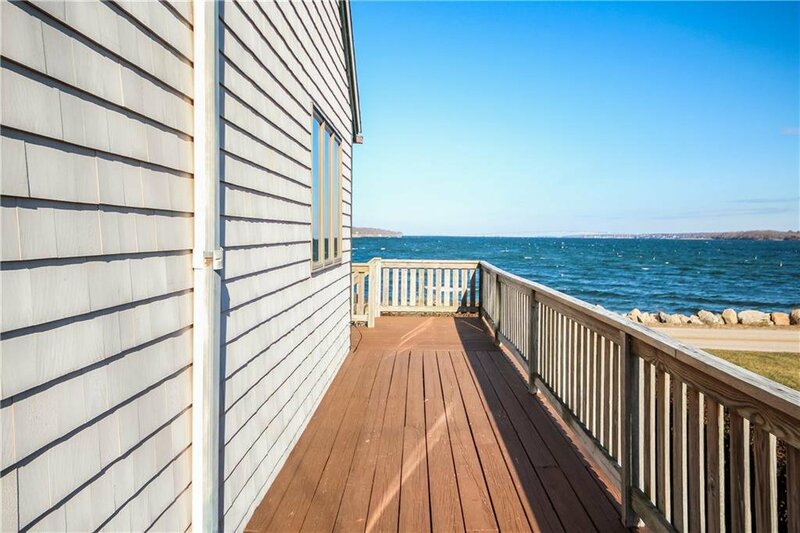 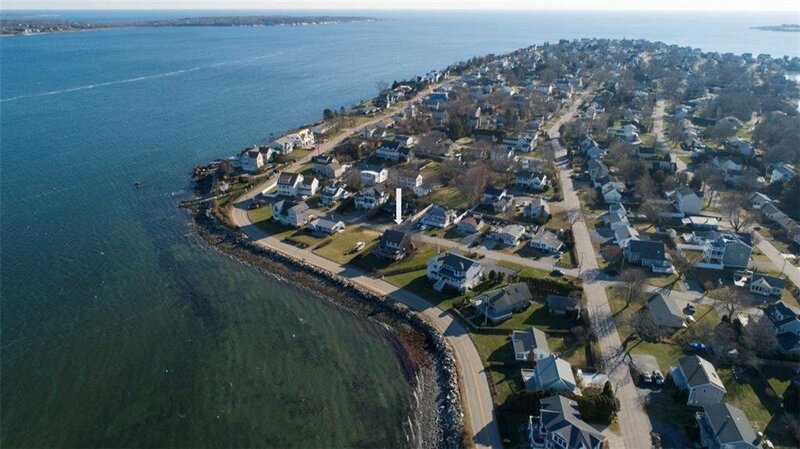 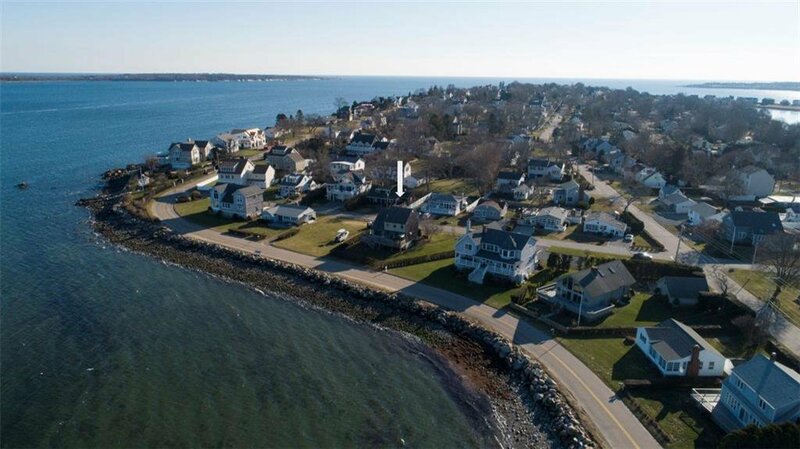 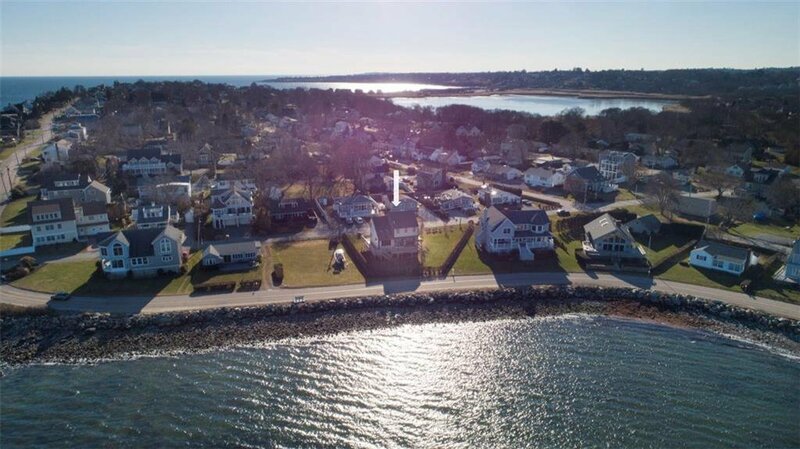 RARE OPPORTUNITY to live at the beach and on the ocean for an UNBELIEVEABLE PRICE!